This year, one of the biggest features expected to be coming to the Apple “iPhone 8” is wireless charging. Rumors were floating around back in November that Apple was specifically going to implement a receiver into the iPhone 8 so that it could be charged using a plugged-in transmitter up to 15 feet away rather than requiring the usage of a wireless charging pad. Devices using the Qi standard, like the Samsung Galaxy S7 Edge, are only capable of wireless charging over distances of up to four centimetres (1.6 inches). The company is rumoured to be working with wireless charging company Energous, which developed a wire-free charging solution dubbed WattUp capable of charging devices from up to four metres away (15-feet). Even though Energous is not quite ready to start shipping wireless transmitters, it is ready to start selling its wireless charging pads. Wireless charging pads are hardly unique nowadays. But Energous’ wireless charging pads will also be compatible with its future wireless transmitter products — which is a great selling point for early adopters. According to Energous, up to 12 different receiver devices can be juggled by the system simultaneously. So in theory, your Apple Watch, Apple Magic Keyboard and Mouse, iPhone 8 and iPad Pro could all be simultaneously charging whenever they are in the same room as a WattUp RF transmitter. There are a number of rumored iPhone 8 features that have been discussed for more than a year now, but none of them are set in stone. 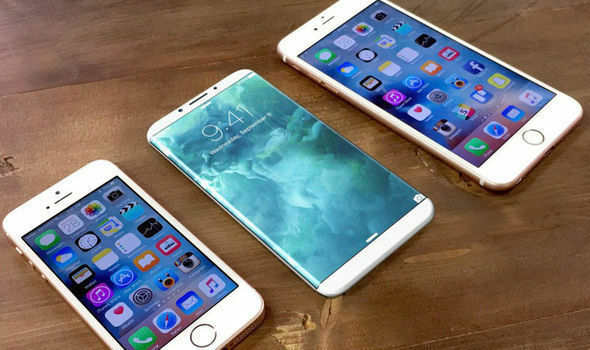 For example, some sources said Apple’s flagship smartphone in 2017 will be called the iPhone 7S instead of the iPhone 8. But the reasoning why Apple analysts are expecting it to be called the “iPhone 8” instead of the “iPhone 7S” is because this would be the 10 year anniversary of the smartphone and it will be radically redesigned — which justifies the skipping of the “S” moniker.